Today: high in low 80s, low in low 60s. Details here. Today’s fire danger is moderate. Flagler County’s Drought Index is at 299. The OED’s Word of the Day: grandisonant, adj..
Friday and Saturday: 14th Annual Hall of Terror put on by the Palm Coast Fire Department, doors creak open at Fire Station 21, 9 Corporate Drive, Palm Coast, on Thursday, Friday and Saturday–from 6 to 9 Thursday, 6 to 10 Friday, and 6 to 11 Saturday. Admission is free, and the gory trip is recommended for everyone, ages 10 and older. No young children, please. 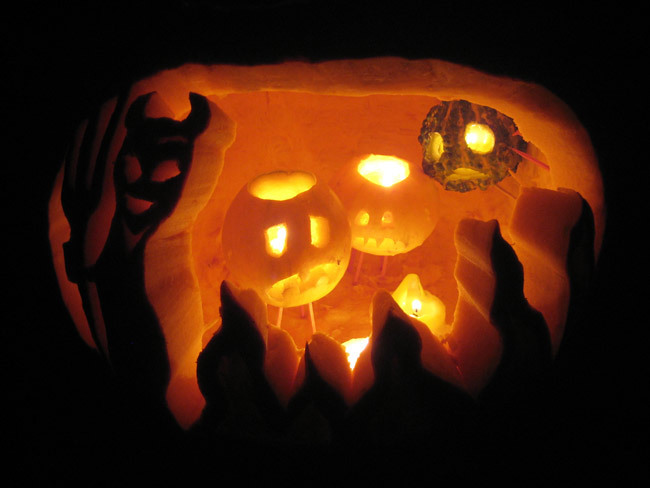 Friday: Come join the Halloween fun at the Candlelight Trail Walk at Bulow Plantation Ruins, 3501 Old King’s Road, Flagler Beach. The event is sponsored by the Bulow Parks Historic Alliance. It begins at 5 p.m. and features children’s games, a costume contest, living history re-enactors and lots of family fun. $5 donation per vehicle. For information call 386-437-5338. 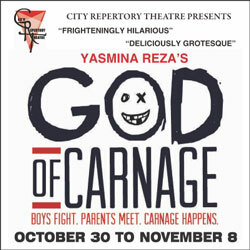 Friday, Saturday and Sunday, “God of Carnage,” the Yasmine Reza dark comedy, directed by John Sbordone at Palm Coast’s City Repertory Theatre. In this play, which won three Tony awards in 2009, two married couples meet to do the right thing about a playground fight between their pre-teen boys: The parents will discuss the matter civilly, only to degenerate into fighting savages themselves. Staged at 7:30 p.m. Fridays and Saturdays and 2 p.m. Sunday. CRT is in City Marketplace, 160 Cypress Point Parkway, Suite 207B, Palm Coast. Tickets are $20 adults, $15 students. Not recommended for children younger than 17. Call 386/585-9415 or get your tickets easily online here. Saturday and Sunday: The 16th Annual Tommy Tant Memorial Surf Classic celebrates the life of Flagler Beach’s local surf standout Tommy Tant, who died in 1998 from an aortic aneurysm. Hundreds of surfers compete in professional, open, and amateur divisions, attracting thousands of spectators from across the East Coast, in Flagler Beach by the pier. See the website. Gov. Scott, Back in Flagler for 7th Time, Will Open Sheriff’s New Operations Center Tuesday: The county administration has been working on securing Scott “for a little while,” Julie Murphy, the county’s spokesperson, said. “We’d been waiting to hear back from the governor if he was going to be able to make it we waited, we waited, and we weren’t hearing back,” she said, so the original ribbon-cutting date was set–for what would have been Oct. 26 at 3 p.m. Two days later, on Oct. 21, the date was changed to Nov. 3. Dustin Singleton, a tattoo artist from New York and a young father, in a Facebook image. From a Speeding Stop to an Accusation of Rioting at Flagler Jail: Dustin Singleton’s Spiral: For Dustin Singleton, a 35-year-old resident of Palm Coast’s LL Section who’d gotten off parole two and a half years ago, it all started again with speeding: going 40 in a 30. It turned into an arrest for a small amount of marijuana. 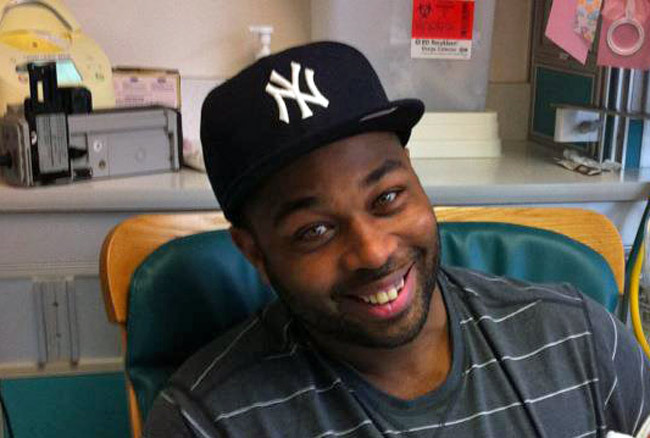 Then a probation violation: traces of marijuana turned up in a subsequent urine test. He was sentenced to a month at the county jail, still on a misdemeanor charge. Tuesday evening, it became a second degree felony when he was accused of “instigating a riot,” because he and nine other inmates allegedly refused to go to their bunks, yelled obscenities at guards and made some demands. St. Johns Sheriff’s Deputy Accused of $60,000 Insurance Fraud Off Late Ex-Wife’s Benefits: Shane Tolerico, 43, turned himself in on an arrest warrant accusing him of grand theft. He was booked at the St. Johns County jail. He is charged with defrauding St. Johns County of over $60,000 in insurance claims. Name-Calling on Florida Senate Floor Further Divides Republicans Over Leadership: A 17-minute diatribe by Sen. Don Gaetz against Sen. Jack Latvala has prompted some disgruntled Republicans to call on Senate President Andy Gardiner to postpone a Dec. 2 caucus vote to designate the next Senate president. 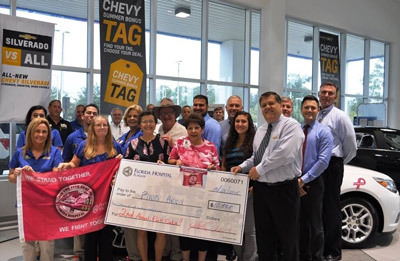 Florida Hospital Flagler Receives Nearly $11,000 Donation to Help Fight Cancer: On Oct. 28, Nancy Gibbs and the Tom Gibbs Chevrolet team donated $10,848 to Florida Hospital Flagler’s Pink Army campaign, which provides screening mammograms, diagnostic studies and education to local women in need. These funds were raised during the second annual Florida Hospital Flagler Pink Gala at the Hilton Garden Inn in Palm Coast and efforts from the Flagler Beach Corvette Club. “Nancy is truly an amazing and inspiring woman,” said John Subers, executive director of the Florida Hospital Foundations in Volusia and Flagler counties. “Her hard work and passion helps us educate women in our community on the importance of breast cancer screenings and will provide qualified local women mammograms and other diagnostic services.” The Florida Hospital Pink Army campaign began in Volusia and Flagler counties in the fall of 2010 and is aimed at enlisting individuals to help create greater awareness about the life-saving benefits of annual mammograms and early detection. In its first year alone, the Pink Army enlisted more than 6,000 “soldiers” to battle breast cancer. Now, armed with more than 53,000 soldiers, the Pink Army movement has swept across the state, encouraging Central Floridians to join this important cause. Florida Hospital Pink Army is on active duty in the following counties: Flagler, Hardee, Highlands, Lake, Orange, Osceola, Seminole and Volusia. To learn more about the Florida Hospital Pink Army, visit www.JoinThePinkArmy.com. The Flagler County Public Library Palm Coast Branch will hold a “White Table Ceremony” to honor service men and women who are Prisoners of War or Missing in Action. “The POW/MIA Honor Guard Detachment of 157 Air Force ROTC at Embry-Riddle Aeronautical University will perform the ceremony,” said Library Director Holly Albanese. “Refreshments will follow, provided by the Friends of the Library.” The ceremony, rich with military tradition, will be presented at 11:30 a.m. on November 9. It represents the Army, Navy, Air Force and Marines held prisoner or missing in action from all wars. “This will be a very moving ceremony,” Albanese said. “We are presenting it in recognition of Veterans Day.” The table and ceremony script will remain set up at the library through Saturday, November 14. The library is located at 2500 Palm Coast Parkway Northwest. Palm Coast Construction and Development Progress Reports The following is an update of ongoing construction and development projects in Palm Coast, through Oct. 14: Palm Coast Parkway Six-Laning is 95 percent done: Work in median continues and landscape along project continues. Traffic Signal loop installation continues. Holland Park, 35 percent done: Dewatering of wetland area continues. 92% of roadway thru wetland has been excavated and is being backfilled. Installation of storm structures and piping continues under roadway thru former wetland. Electrical trenching and conduit installation continues. Palm Coast City Hall at Town Center, 99 percent done: Project is substantially completed. Old Kings Road Force Main, 40 percent done: Connections of the directional and direct bury pipe continues. County’s I-95 Interchange Matanzas Woods Reclaim Water, 76 percent done: 16″ direct bury pipe has been staged for installation on the west side of the northwest ramp. Palm Harbor Parkway Roadway Extension, 26 percent done: De-mucking continues thru wet areas for new roadway. North Old Kings Road Extension to Matanzas Woods Parkway: City did not update. Island Walk Shopping Center Phase 1, 95 percent done: Last 1500 gallon Grease Interceptor was installed. The Utility Final was completed for Publix 10-13-15. It’s wonderful to see people mobilize to help others who may lose their health to breast cancer. Breast cancer research has come a long way. That’s the power of research and generous grants. Bravo to all who help(ed). It’s now time to raise awareness and (a lot) money for Alzheimer’s Disease and Pancreatic Cancer. These are two diseases with a bleak prognosis which take so many lives, young and old. There is no cure or effective treatment at this time. Pancreatic Carcinoma: one-year relative survival rate is 20%, and the five-year rate is 6%. NOTE all the false statements made in the latest Presidential debate. . . Politifact does a great job of revealing the truth!